Understanding, evaluating, and mastering new dental technologies and techniques is something we take seriously at Dynamic Smile Design. 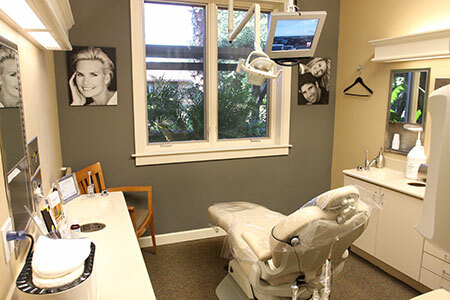 You deserve a dental team that combines advanced dentistry with comforting amenities and a focus on your unique needs. We are diligent in making sure our patients are getting the best they can from their Orlando dentist practice, and that includes making sure we always have the latest in technology at our fingertips. Dental impressions are needed for almost any type of dental restoration or wearable device. In order for customized bridgework, dentures, dental implants, or crowns to be created, a clear, accurate measurement of the tooth or teeth involved is required. In the past, this meant soft compounds being placed in the mouth and held there to form an impression – a procedure that often had to be done several times to procure a perfect impression. The intra-oral scanner eliminates the need for “goop” to be placed in the mouth, and is a welcome improvement for many patients who find having impressions being taken unpleasant. The scanner (which is similar in shape and size to a pen) quickly and accurately scans the tooth and its position in the mouth, allowing precise measurements to be recorded in preparation for custom fabrications. The result is a better experience for the patient and a better fitting restoration! Finding cavities is easier than ever with CariVu, the caries detection device that allows our dentists to see even the tiniest cracks and spots of decay. A companion tool to regular x-rays, the CariVu hugs the tooth and shines safe, near-infrared light through its entire structure. The light illuminates any defect in the tooth, whether it’s a tiny speck of decay or the beginnings of a hairline crack. With early detection of caries, your dentist can create a plan to monitor the tooth and quickly treat issues that become problematic. Even spots that don’t show obvious signs of decay but are shadowed can be charted and checked on regularly in case the area starts to degrade. CariVu is easy, fast, and perfect for patients who want to be certain their teeth stay in the best possible health. At Dynamic Smile Design, we are committed to making the lives of everyone around us easier – and to saving trees in the process. To that end, our practice has become one of the first paperless dental practices in Orlando by converting to digital medical records. Managing Appointments. Have you ever showed up for an appointment, only to be met with looks of surprise from a confused receptionist? Offices that use non-computerized appointment books can make manual mistakes, messing up your schedule and delaying dental treatment. We never accidentally double book patients. Recordkeeping. In addition to organizing appointments, our software also keeps track of what you have already had done to your teeth, so we can refer to it later. If a tooth is giving you pain, and we see it is one that has had prior dental work done, we can quickly recognize the potential issues and plan your treatment. Image Storage. Dentrix electronic records software can even store dental imagery such as x-rays and MRI scans. This makes it easy for Dr. Puig to track problems and predict issues that might arise in the future. Prescriptions. If you need an antibiotic or pain relief for that recent root canal, Dentrix makes it easy for Dr. Puig to order your prescriptions online, so you can pick them up on the way home. Preventive Care Reminders. If you have a busy schedule, it can be easy to forget about dental appointments. Dentrix software can be set up to send you a complimentary reminder email about your annual check-ups. Instant Communication: With Dentrix records software, our financial clerk can access your insurance information immediately to let you know about benefits and accumulators. This feature is especially helpful if you know you are close to your annual dental insurance maximum for the year. More Efficient Coding: Insurance billing mistakes cost Americans millions of dollars each year. However, Dentrix software has safety protocols in place, so that our staff can code and bill more efficiently. Online Records: Electronic records make it easy for us to track medical information and retrieve even decade old records should you ever need a copy. With digital technology, we not only save paper, we make every part of your dental visit more efficient and easier to track and refer back to later – for you, your medical team, and your insurance company. You deserve a dental team that combines advanced dentistry with comforting amenities and a focus on your unique needs. To keep up with the ever rising standard of care, we’ve replaced traditional x-rays with DEXIS digital radiography. This state-of-the-art technology emits 90% less radiation than traditional x-rays, and provides high-quality diagnostic images. Flexible sensors are placed in your mouth to capture the data, which is then translated into images on the viewing screen. As a routine part of dental healthcare, digital radiographs can help us discover decay below the gum line or inside a tooth, as well as provide early detection of potential developing tumors, cysts, or abscesses not visible to the naked eye. The images are immediately available for viewing, and can also be electronically submitted to specialists and insurance companies. Having a hard time imagining what your smile will look like after treatment? With computerized digital imaging, Dr. Puig can show you the proposed results of specific therapies. We’ll take a “before” photo, and correct imperfections as you watch on a computer monitor. This lets you see the end results of the treatment options Dr. Puig suggests and can help us select the right therapies for your smile. In accordance with our commitment to optimize your oral health, we use DIAGNOdent laser cavity detection to identify decay in its earliest stage. Dr. Puig or one of our hygienists will use the small, non-invasive DIAGNOdent wand to scan for previously undetected cavities between teeth and along fissure lines. Previously, technology only allowed detection at later stages; today, Dr. Puig can quickly identify areas of demineralization (precursors to cavities) to diagnose and administer treatment before damage is done to your smile. DIAGNOdent is provided at your regular appointment at no extra charge to you. Dynamic Smile Design is a proud early adopter of the VELscope, a technology introduced in 2006 for early detection of oral cancer and other diseases of the mouth. The earlier we can detect oral cancer, the better chance we have of successful treatment. This type of oral cancer screening is painless, and takes only one to two minutes. VELscope shines a safe blue light into the mouth, and illuminates fluorophore molecules in the oral mucosal tissues. These molecules "fluoresce" or light up – much in the same way white shoes will under a black light. Abnormalities in the tissue produce a blue light, which is filtered out by the Velscope and appears as a dark spot. This tells dentists that further examination is necessary. In dentistry, one of the biggest limits on the precision and effectiveness of treatment has always been the problem of visibility. 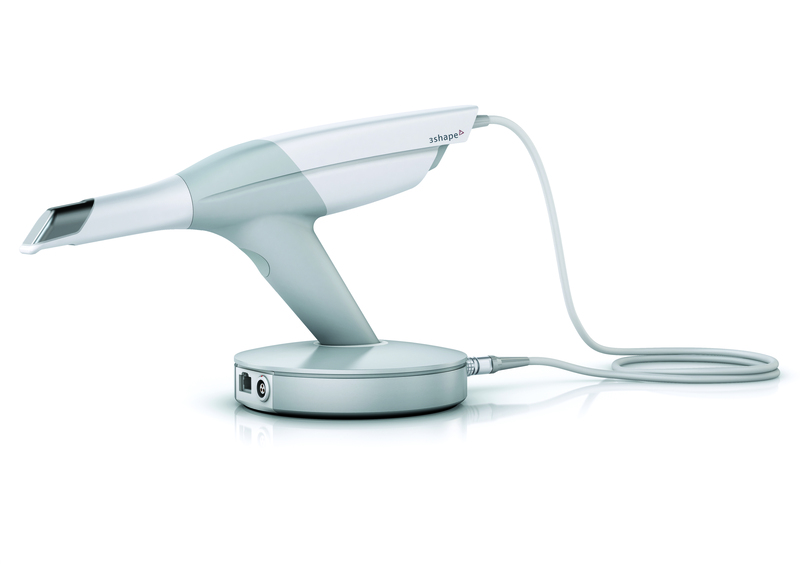 Intraoral cameras represent an advance in dental technology that takes our practice light years beyond simple mirrors. Intraoral cameras are small video cameras located at the tip of a pen-like instrument which can be directed into the mouth. The camera gives us better angles and extreme close-ups, allowing for greater visibility and more precise treatment. We can even show you in real time the parts of your mouth which you would never otherwise see. The intraoral camera has become an indispensable diagnostic tool for our practice, helping us get a more detailed look at areas of concern. That lets us form a clearer picture of potential issues, whether it’s detecting the early stages of tooth decay or mapping the full extent of a crack or chip. Our chairside monitor takes this technology and lets you experience it as well. You see the inside of your mouth the way Dr. Puig sees it, as she or your hygienist moves the pen-sized camera inside your mouth. You can see everything we see, and ask questions. We love using this tool because it helps us better explain what the course of treatment is and how it will help each patient. Call us today or use this easy form to schedule a consultation with Dr. Puig, and experience a whole new standard of dental care!